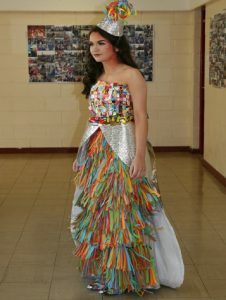 On Friday 9th March the Southern regional finals of Junk Kouture was held in Limerick University concert hall. 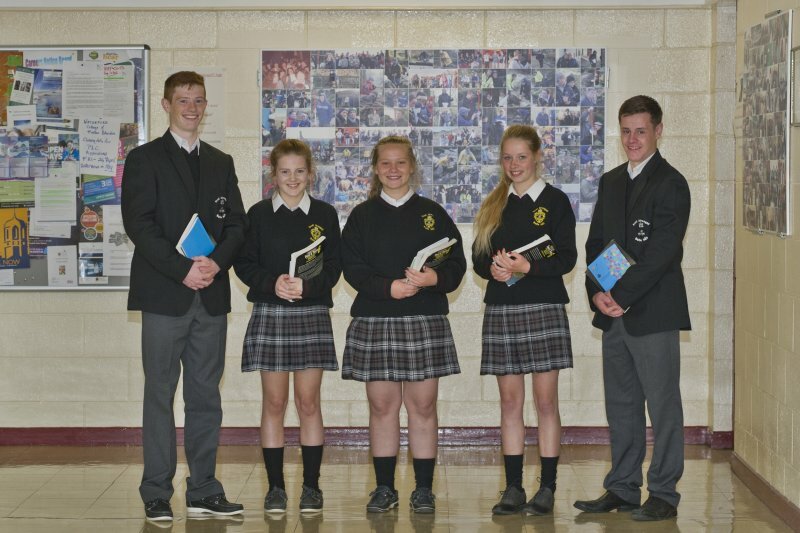 Scoil Aireagail had one group qualify for the event and also sent a bus of 3rd and 4th year students as supporters. It was a great day and a fantastic show that was enjoyed by all who attended. 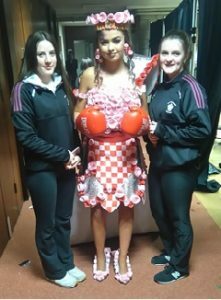 The dress entitled ‘The Rose Warrior’ was created and designed by Ella Moore, Amy Laherty and Aisling O’Mahony. 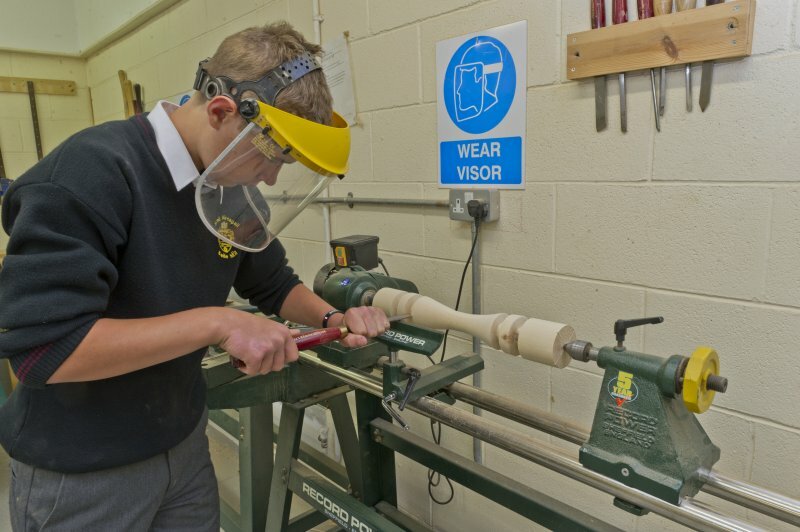 The concept and design process began back in September, and the students have worked tirelessly to bring their creation to completion. Their hard work and commitment is highly commendable. 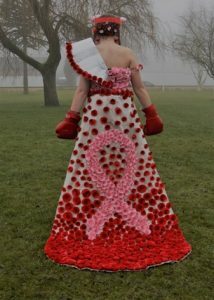 The dress is made from recycled materials including pink and red card, which they made into origami roses and arranged in the design of the breast cancer awareness logo. The concept behind their dress was to raise awareness of breast cancer, empower femininity and support patients in their fight against cancer. Amy Laherty did a great job modelling the dress performing to the soundtrack of ‘Fight Song’ by Rachel Platten. 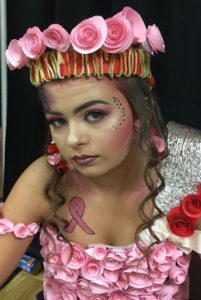 Her teammates Ella and Aisling did her hair and make-up, they had a long day of rehearsals before final curtain call at 6pm. It was a great achievement to qualify to the regionals and the girls were unlucky not to progress to the next stage. Competition was extremely strong with some fabulous creations on show on the day. Judges were very impressed with their concept and design and the girls should be very proud of their work. Commiserations on not progressing. However, overall it was a very positive experience with excellent learning and memories. Thank you to all their friends, family and school community who supported their journey by voting for them and special thanks to students and teachers who attended the show on Friday 9th their support clearly seen with posters and heard throughout the auditorium. 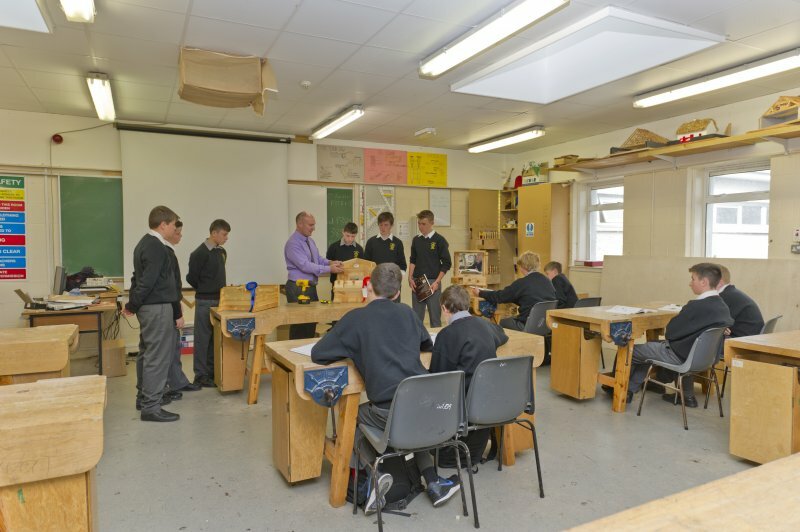 Well done Scoil Aireagail! 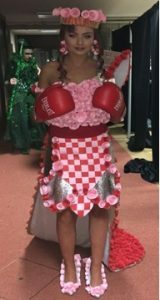 Scoil Aireagail also had a second costume entered into the Junk Kouture but was unfortunate not to succeed to the regionals. 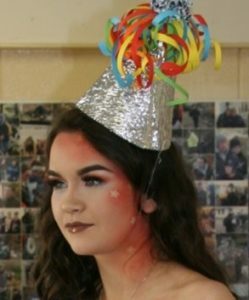 The dress entitled ‘Celebrations all sewn up’ was designed and created by Olivia O’Keeffe, Jessica Catt, and Rachel Duggan. It was created from recycled birthday cards and banners. The girls did a beautiful job and were unlucky not to make it to the next stage, They would like to thank all who voted for them. Thanks to all our young designers and models, and all who helped out in so many ways. Thanks also to Art teacher Ms. Dalton who put in so much extra time over the past few weeks preparing the entries for the competition. Thanks also to teachers Ms. Naddy and Ms. Maher.